SOUTH CAROLINA. 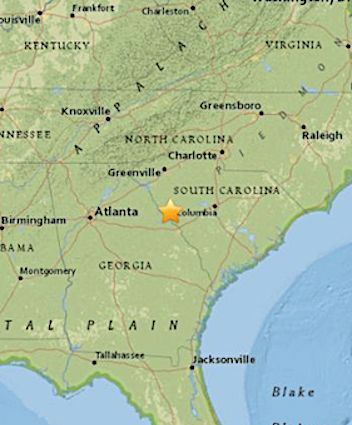 (THECOUNT) — Our friends at EpochTimes are reporting, an earthquake has struck in western South Carolina on Sept. 13, at around 6:30 a.m. local time, according to the U.S. Geological Survey. The quake hit near McCormick with a magnitude of 2.6. The quake had a depth of only about 300 feet (0.1 km), according to the agency.